A dozen horses from Panama arrived at Gulfstream Park Wednesday afternoon to prepare for the Clasico Internacional del Caribe Saturday, Dec. 8. The Panamanian horses joined 10 horses from Venezuela who arrived Saturday morning. Horses arriving from Panama included Fray Angelico, a son of Concerto who was second in last year's Clasico del Caribe at Gulfstream. The 4-year-old returns for the Copa Confraternidad after finishing third in April in the Clasico Francisco Arias Paredes y Alberto Espinosa (G1) and third in the Clasico Union de Preparadores (G3). Also arriving from Panama was the 3-year-old Sol de Orion, a son of unraced Sol Marino. Sol de Orion is expected to be one of the favorites in the Clasico del Caribe. “They look healthy and fit and ready to run,” said Dr. Robert O'Neil, Director of Equine Health and Safety for The Stronach Group, who watched as the horses disembarked from the van. The Clasico's history includes the participation of Hall of Fame jockeys Laffit Pincay Jr., Jacinto Vasquez, John Velazquez and Javier Castellano as well as Gustavo Avila, Joel Rosario, Emisael Jaramillo and Jose Lezcano. They will come from the Dominican Republic, Ecuador, Mexico, Panama, Puerto Rico, Venezuela and Trinidad and Tobago. Jockey Irad Ortiz Jr. won three of the Clasico races last year including the Clasico del Caribe with Mexico's Jala Jala. Gulfstream's Championship Meet, featuring the $16 million Pegasus World Cup Championship Invitational Series and $1 million Florida Derby (G1), begins Saturday, December 1. 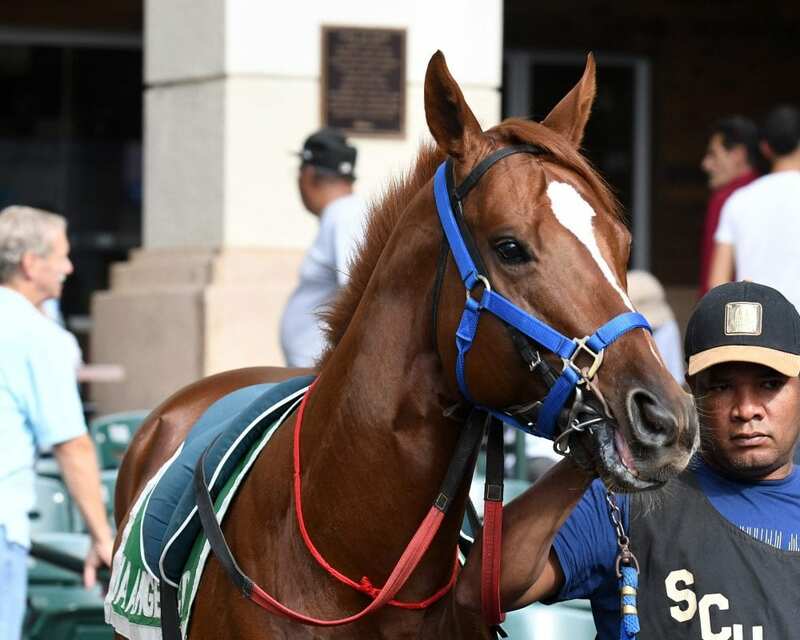 This entry was posted in Racing and tagged clásico del caribe, Fray Angelico, gulfstream park, Horse Racing, panamanian horse racing, The Stronach Group, thoroughbred, venezuelan horse racing by Press Release. Bookmark the permalink.